Catching Pokemon is the one thing that every trainer should be focused on, I covered this in my first post. This guide will teach you the catching strategy I have developed and used to reach level 40 and to do things like achieving 1,796,665 experience in a 24 hour time period(non event experience). There are several components to this strategy, method for catching, Pokemon selection, preparation, and location. After reading this guide you will begin increasing your experience gained for the same time invested. When I go hunting I have one of two focuses, gain experience-stardust or gain specific Pokemon and corresponding candy. This guide will cover experience-stardust strategy. Look for future guides on strategies for hunting specific Pokemon. The first thing that every trainer needs to begin practicing and doing every single time they throw a poke-ball is a curve ball. The reason for this is simple, it provides a bonus ten experience, which is a 10% increase over the base 100 experience catching a Pokemon provides. Ten experience may not sound like a lot but it will definitely add up over time, my current bonus from using curve balls is over 420,000 experience. The second thing that everyone needs to be focusing on is getting throw bonuses. The circle that shrinks and than expands provides three different bonuses, nice, great, and excellent. 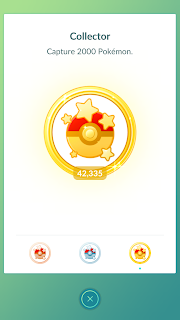 The bonus is achieved by throwing your ball through the circle and hitting the Pokemon. The smaller the circle is the greater the bonus, nice provides ten experience, great provides fifty experience, and excellent provides one hundred experience. Nice shots: Nice shots are the easiest as the circle is largest, however the bonus is so small comparatively to the other bonuses I wouldn't ever try for this bonus. Great shots: Great shots are what I recommend every player to focus on at least until their skill level is extremely high. The reason you want to focus great over nice is because if you can hit two out of ten shots you are gaining the same bonus experience as you would gain from hitting ten out of ten nice shots. Also with great shots the circle you have to throw through is still a very large target and with A little practice everyone should be able to achieve a much higher rate of successful shots than 20%. Excellent shots: Excellent shots are not something I recommend going for, the reason why is because you only get two times more experience for the excellent shot, instead of five times more when you jump from nice to great. So in order for you to gain more experience by going from great to excellent you have to be hitting 60% of your throws. If you can already consistently hit 60% or more of your throws excellent then go for it. What I recommend: Focus on the great shots, as the bonus is the best for the difficulty of the shot. However well you're doing this practice throwing at where the center of the circle is. This way you're practicing to be able to achieve excellent shots well also gaining the much easier bonus for great shots. Once you can consistently hit the center of the circle, do a few trial runs and see how well you do. Something things I would like to point out: Even once you're able to hit excellent shots consistently it most likely isn't going to be the best thing for most players to focus on for every shot. There are many reasons for this. Wait time for the circle to reach the excellent shot size. Experience gained from great to excellent is only a 31% increase over the 160 experience that would be gained from immediately throwing for a great shot. When you factor in wait time when having to throw multiple times the increase becomes minimal at best for EPM (experience per minute). Also you can go for excellent shots and still gain these higher bonuses when they are convenient or for Pokemon that are more likely to stay on the first shot(for instance a 10 CP Pokemon). If you want the most out of your time you want to be getting the most of everything that you need. Stardust will be the most limited resource for all players, the only way to consistently gain stardust is by catching as many Pokemon as fast as possible! By focusing both great shots and excellent shots we can minimize time for catching each individual Pokemon and maximize experience and stardust. The only time its beneficial to go for excellent shots exclusively: The only time it actually makes sense to invest the time to get excellent shots every time is when you plan on playing for extremely long periods, 12-24 hours straight. 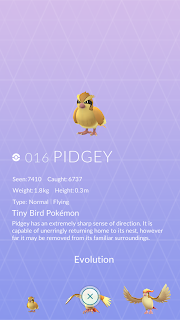 Pokemon catching is limited but the number is very high and most players will never hit this in game limit through regular play. However if you plan to play for an extended period of time and plan on hitting in game limits, then you want to get the absolute maximum out of every catch. In this scenario assuming you can also hit excellent shots consistently enough to make it worth while, then go for it! Otherwise Speed catching in great to excellent range will give you the best EPM. All Pokemon are not created equally both for battling and for progressing. This section will give you a new way to look at Pokemon that will help you decide what you should be catching first and what you shouldn't even be bothering with at all. In this section I will break down an experience tier system, explain how I look at each Pokemon and explain why some Pokemon fall into a category I like to call the "ball pit". 12 candy evolution: This is the best Pokemon group to catch if you want to level up, I would catch a Pokemon from this group first over any other Pokemon excluding S-class Pokemon(the top tier of Pokemon strength wise). This group is very limited but luckily they are common spawns. Pidgey, weedle, and caterpie. 25 candy evolution: This is the second best group to catch for experience, I would catch anything in this group over any Pokemon besides S-class or the Tier-1 evolution group. Once again this group is common spawns for the most part and the ones that aren't common spawns are S-Class or starter Pokemon. Rattata, Abra, Geodude, Bellsprout, Oddish, Poliwag, Machop Nidoran(male and female), Bulbasaur, Charmander, squirtle, Dratini, and Eevee. This group is mostly composed of pokemon most players wouldnt simply use the candies to just boost experience, as most people wont evolve a dratini, eevee, starter, etc to a middle stage just to delete it for experience. 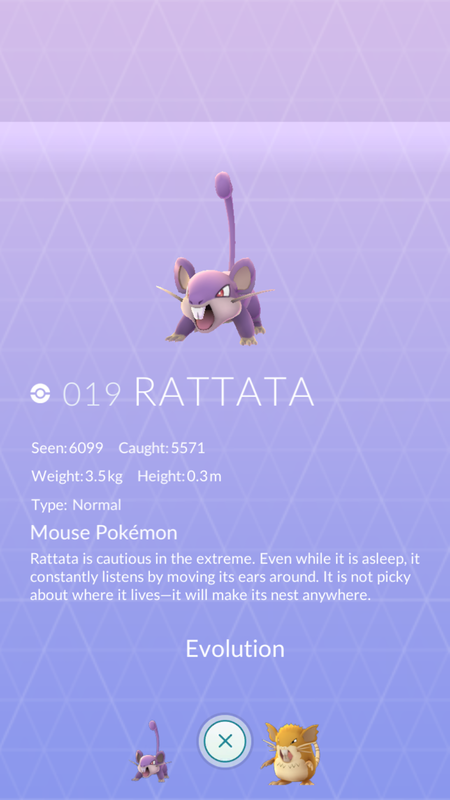 The one in this group that most people will use for experience is Rattata. 50 candy evolution: The largest amount of Pokemon fall into this group by far. These Pokemon provide poor evolution experience but will still be the majority of what you catch simply because they will be what appears most often. This group you will prioritize based on difficulty of catch and how good you're at catching Pokemon in this category. For instance, I catch a lot of Ekans because they spawn a lot and I am really good at hitting excellent shots on them. No Evolution: The Pokemon in this group I would advice you just ignore and don't attempt catching them at all unless they are an S-class(Snorlax, Lapras, etc), or you're catching them for an a specific reason(Pokedex completion, Pokemon with cross generation evolution's, or training Pokemon). Jynx, Hitmonlee, and Hitmonchan are three Pokemon that are completely useless and are just a waste of time and items, you cant evolve them, high difficulty to catch and completely useless for battling. Aerodactyl falls into this group as well but it is rare enough that it might possibly be worth keeping to trade(I personally have stopped collecting them though). Everything without current evolution's that I haven't listed I haven't listed for a reason, ill cover all these reasons in another guide. Ball Traps: Pokemon that aren't worth the items it requires to catch them are what I like to refer to as "Ball Traps". Generally speaking these are Pokemon that have no other use than simply providing experience or candies to generate experience. These are going to be Pokemon that are already in a evolved form, things like Raticate, Fearow, Arbok, even the evolution's of our Tier 1 Experience Pokemon are going to be classified as a Ball Trap. The reason for this is Pokemon that are already in a second or final stage are going to have much harder difficulties to catch. 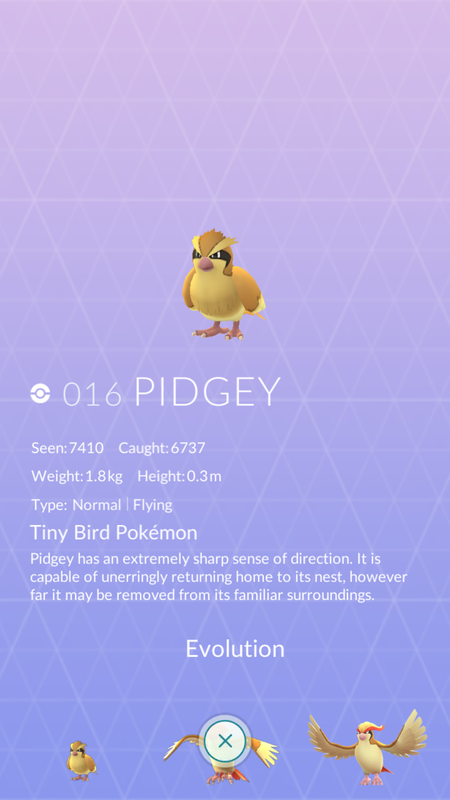 Even a low CP Pidgeotto is likely to break out multiple times and consume a lot of balls and time. Simply put, if its not S-class and its evolved don't bother with it. For more in depth explanation on why low evolution cost Pokemon are so important to focus look for my guide on evolution's. In order to effectively catch Pokemon consistently you have to be prepared to do so. This means having a stocked inventory of items to catch Pokemon. To make the most of your time you should stock your items completely before going to hunt. Go to a location with high density of pokestops and keep turning stops till you're full. When I am planning to hunt and stocking items to be prepared I dump any item I don't plan on using in the immediate future. One of the biggest mistakes I see players make is holding hundreds of items that they never come close to using up. I will regularly dump everything and stock until I only have balls and a small amount of berries(usually 20-30). The only time I hold even super or hyper potions is when I am planning to do a extremely long session of gym raiding. I rarely dump Max Revives though, as these are both a revive and a max potion in one item. I only dump max revives when I plan to do experience challenges, or when I know i'm not going to be playing gyms for a while. In general I save max revives and a maximum of fifty max potions. The more space you fill with balls the more experience you can get before you have to make another trip to restock. Location is one of the most important parts of this. You need to find a location that has a high enough spawn rate that you can walk around and constantly have Pokemon to catch. The higher the spawn rate the better. 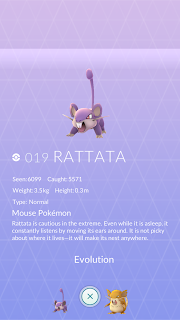 If you are somewhere that only has a few spawns you cant focus Pokemon that are better for experience or easier to catch, you just have to catch whatever is there. You also want to find a location that spawns Pokemon that are in tier 1 and 2 of the experience tier. After reading this you should be able to achieve far greater experience for your time invested, have a better focus and understanding of what is most useful to catch, and have strategy to continually work towards even higher EPS. For more help with catch strategies check out my videos on catch strategy which are broken into parts, part 1, part 2, and part 3. These videos cover some of the same information covered in this guide but it also helps you tie catching into a strategy that will maximize your total gains. 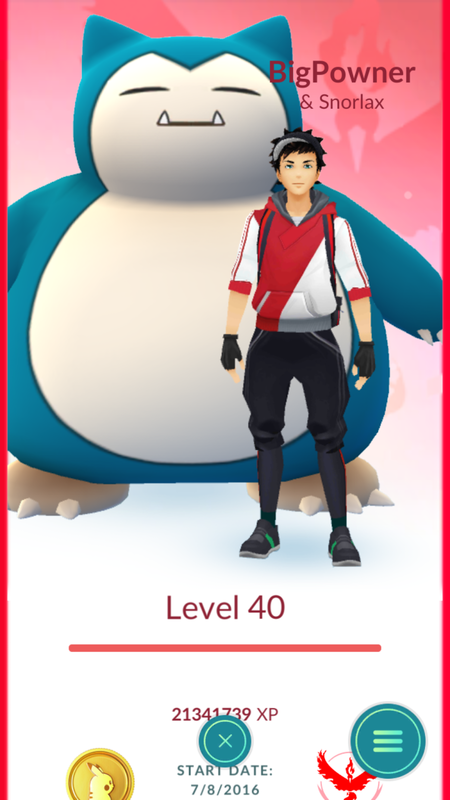 Also at the end of part 3 I turn level 40!